Back in the 1970’s two of my closest friends, Lew Milne and Melvin Carroll, along with others, decided that Masterton needed a Cosmopolitan Club. I had just been elected on to the Masterton Licensing Trust and the Trust vigorously opposed the clubs application for a charter. This was on the grounds that the proposed club would take clients away from their public bars with potentially devastating economic outcomes. So at the hearing, held in the old County Council chambers, I found myself on the opposite side of the fence from Lew and Melvin and friendships were strained. In the event the Commissioner found for the club, though strict membership numbers were imposed. The club was an overnight success. Applications for membership exceeded the restraints set and for many years there were waiting lists of men wanting to join. 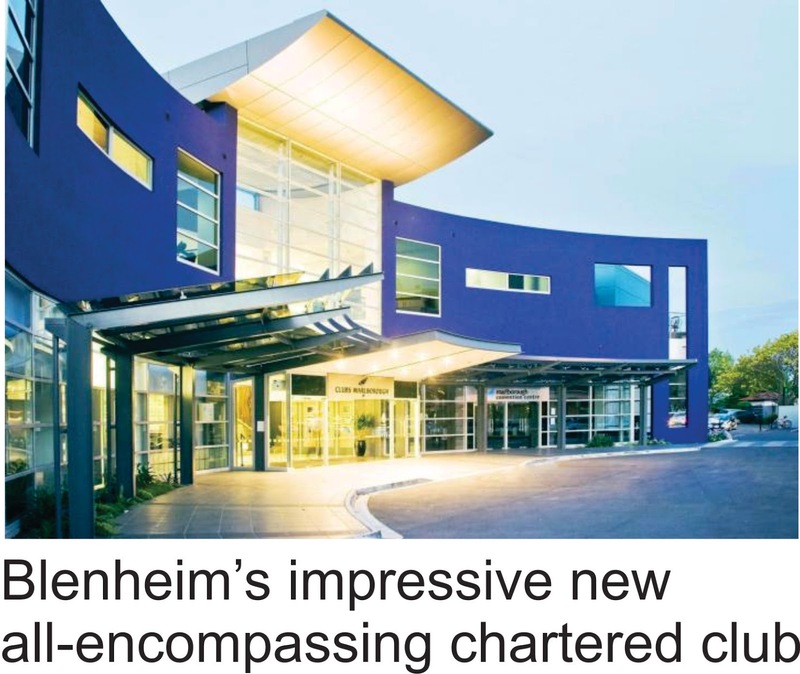 Architect Trevor Daniell designed a splendid edifice and the newly-formed club borrowed money to build the premise on land leased from the Trust Lands Trust. Lew Milne became the inaugural President. There were now three chartered clubs in the town, each with their own distinct enrolments. The Masterton Club attracted professional and business men and farmers. Farm owners that is, not farm workers; it was euphemistically called the “Gentlemen’s Club.” The Soldiers Club was exclusively the preserve of returned servicemen and the Cosmopolitan Club became the working man’s club. Small businessmen and schoolteachers were also known to join “the Cossie Club” and enjoy the company and the atmosphere. And so it has flourished for many years, used by many other sections of the community as well as members. For instance Masterton’s four Probus Clubs all hold their monthly meetings there on consecutive weeks. But times change. For some years now all three clubs have been shedding patronage. This situation was halted for a while when women members were admitted. The Soldier’s Club changed its name to The Services and Citizens Club and opened its doors to all comers. And not just the clubs. The Licensing Trust once had four thriving public bars. The Horseshoe, the Pioneer, the Kuripuni and the Homestead. Now only the Kuripuni survives. There are a number of reasons behind this. The younger generation are not in to joining clubs or patronising public bars to the same extent as their forbears. A night out for them is usually at a licensed restaurant with friends and family. As a result, club coffers suffer. There is also the potential to be breathalysed on the homeward journey and this has meant imbibing at your “local” - club or pub - is a risky business. Better to stay put with your large-as-life television set with surround-sound and watch live sport with instant replay than risk a drink-driving charge. It has been suggested that Masterton needs to start anew with a purpose-built facility to encompass all three clubs. 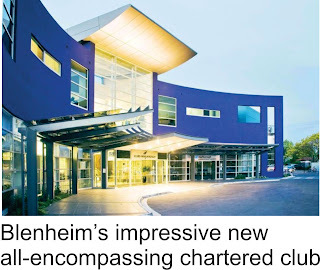 This happened in Blenheim where the Blenheim Workingmen’s Club, the Marlborough Club and the Returned Servicemen’s Association Club all abandoned their premises and built a brand new 12 million dollar facility. A grand idea, but for Masterton from whence comes the money? The Cosmopolitan Club, being on leased land, would be difficult to market. And there are a number of under-utilised public spaces in the town already. I’m thinking of the YMCA and the huge Homestead complex and its massive adjacent carpark. So there’s your catch 22. Ideally the three committees should get together, put aside parochialism and prejudices, embrace egalitarianism and chart a course that will provide an ideal solution for all of us. But if the golf clubs and the A and P show committees are any example, then I won’t be holding my breath. Can a house really kill people? Dare we let boys be boys? © 2012 The Long View All Rights Reserved. Design By Design Unlimited . and MyThemeShop . Blogger Theme by BlogTipsnTricks and Right Blog Tips .